Table based: Finding values and angles: We will see this in today article. Complimentary angles (90-A): discussed in separate article click me. 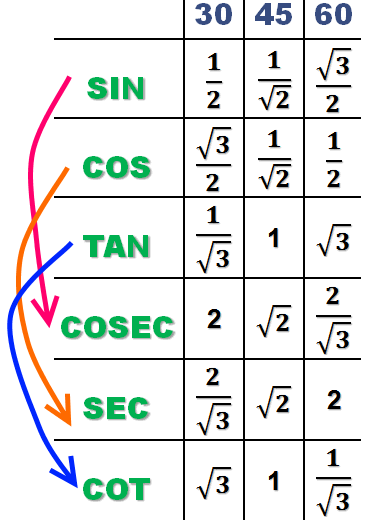 Trigonometry formulas + algebraic formulas: to be released. 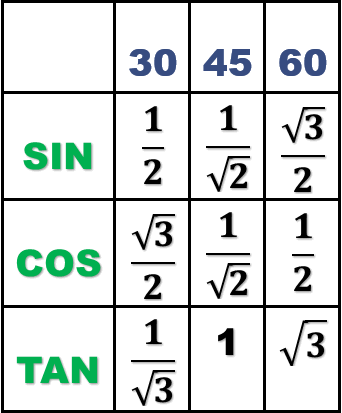 To solve these type of questions, you must know the “table” (=meaning the values of sin, cos, tan, cosesc, sec and cot for 0, 30, 45, 60 and 90 degree angles). Today we’ll extend it further and create the whole table from 0 to 90 degrees. Cos=1/sec. that means for sec 0 to 90, I’ll just inverse the values of cos 0 to 90. (e.g. cos60=1/2 therefore sec60=2). Tan=1/cot. That means for cot 0 to 90, I’ll just inverse the values of tan 0 to 90 (e.g. tan45=1, so cot45 will also be 1). Here is the updated table. (don’t just read this, keep making the table in your notebook/rough paper simultaneously). For zero to ninety, sin is 0 to 1. And the case of cos is reverse (meaning for zero to ninety, cos is 1 to 0). Zero’s inverse (1/0)=not defined. And vice versa (meaning “1/not defined” = 0). Applying the first rule: for 0 to 90, sin is 0 to 1, and cos is 1 to 0. WE also know that Tan=sin/cos. now we’ve the values of sin, cos and tan for 0 degree angle and 90 degree angle. We can inverse them and get the values for cosec, sec and cot also. (recall rule number two: 1/0=not defined and not defined’s inverse is 0). Finally we’ve our table ready. I suggest you construct this table on your own for atleast 2-3 times at home. Otherwise this technique will not go in long term memory. In the exam you don’t have to create the whole table in the rough paper, just get only those values that are required for the given question. Now let’s try some Table based Questions. Q. if cosA+cosB=2 then find value of sinA+SinB, given that both angle A and B are between 0-90 including both 0 and 90. Ans. If you look at the table, cos0+cos0=1+1=2. That means both A and B angles are 0 degree angles. Q. Find the value of cos25/sin65. We only know the table for 0, 30,45,60 and 90. We don’t know the tables for 25 or 65. Don’t worry, these questions are based on the formula of complimentary angles. We’ll learn that in next article. Approach: from the table we know that tan0=0. So no matter what you multiply with zero, final answer will always be zero. but we know that cos90=0, hence the whole multiplication will become zero. Approach: as you can see there is no tan0 in this multiplication chain (otherwise we could get zero as the answer.) but this question can be easily solved using the formula of complimentary angles. (we’ll see it in the next article). Q. For 0<A<90, if sinA=sin60 x cos30-cos60 x sin30, then what is the value of A? Now go back and observe the table. In the Sin’s row, You see the sin30=1/2. Therefore, A=30 degrees. Sin(A+B)=root3/2 (this is given in the question itself). For all these questions, assume that unknown angles are between 0 to 90 (including both 0 and 90). 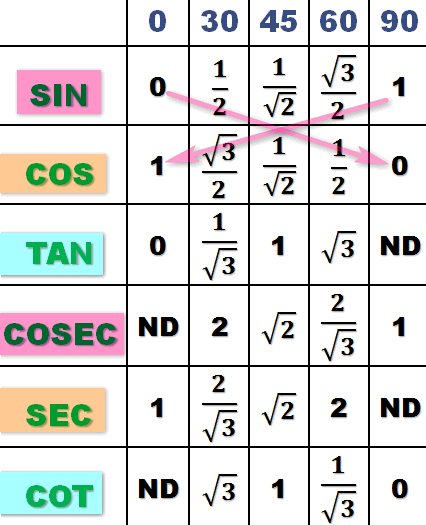 Questions about finding values (based on trigonometry table) are easy. You just have to plug in the values and simplify the equation. But be sure to observe the rules of simplification (BODMAS) and laws of surds and indices, else you’ll get wrong answer. 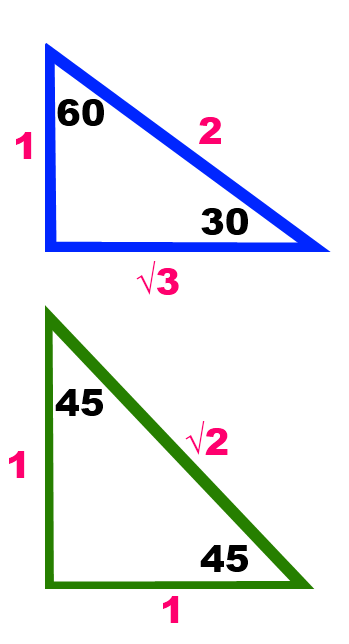 If secA-cosecA=0 then find value of secA+cosecA, given that A is an acute angle. What are the options left for me… i am realyy tensed and wanna …suicide.. 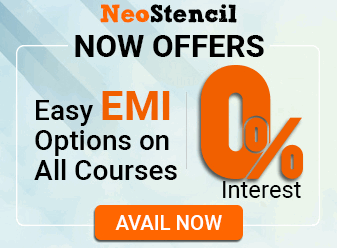 This is an awsome & helpful.site for all competative exams aspirants. Thank u very much. plz include few SSC type tricky problems as well. I am really thankful to the author and all the guys who had put up their valuable time while explaining such basic but important concepts. Finally I could do these type of questions without much difficulty. Values can’t be forgotten at all now all thanks to the “Topi Triangles” method. Wish my maths’ teacher were this good in explaining these concepts. Thanks a lot again guys. Please keep up with the good work. Woww! Sir ur explanations in quantitative aptitude are so simple and these are very usefull and in so simplyfied language . I’m very pleased to have this great gadget and teacher on my device ..
if atriangle ,if b+c divide 11=c+a divide 12=a+b divide 13 prove that cosA/4=cosB/19=cosc/25? can any1 help me with question 13?? ?